Market Harborough Youth Netball Clubs under-14s . Back from left, Caitlin Swallow, Amelia Dunn, Gracie Barkworth (captain), Evie Watts, Daisy Provis, Tabitha Tooms. Front: Elena Bensi, Micha Raja, Evie Van Nierop, Poppy Page. Market Harborough Youth Netball Club’s under-14s have made history by reaching the National Championships. They became the first side from the club to reach this stage after battling it out with the best teams from across the East Midlands at Loughborough University. There were two teams from each of Leicestershire, Nottinghamshire, Northamptonshire, Rutland and Lincolnshire. And Harborough made progress after finishing the day as runners-up. The first two matches brought healthy wins with all 10 players taking to the court. Elena Bensi, Micha Raja and Caitlin Swallow all put in strong early performances to get them off to a fine start. And that continued as they went four games in having collected four solid and commanding wins. They then had a slight wobble against Charnwood as they found themselves 9-3 down at half-time. A team talk and swap around helped them to dig deep, though, and they pulled it back to draw 11-11. The next match also ended level – at 13-13 – which meant the final three games of the day were, as had been expected, going to be the deciders. 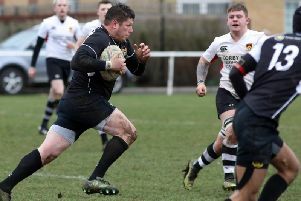 Next up were Corby – a team Harborough know very well – and they returned with renewed energy to put in a commanding display and collect the win. The penultimate match was against the Storm – another side they know well – and it was as close as it could be with just one goal separating them throughout. Each team made some incredible interceptions and forced a few errors but it went down to the final second of the match when Harborough scored to clinch it. There was no time for celebrations, though, as they were straight back on the court to face Brigg. Having not lost a single match all day, Brigg were certainly the in-form team. It started well and the side were level for the first few minutes. But a couple of errors gave Brigg the advantage of leading by three goals at half-time. Harborough fought back and levelled things up but this time it was Brigg who managed to grab the decisive score and they won the match by just one goal. However, the single point gained from the close scoreline in that final match was enough to pip Storm for second and for Market Harborough to progress to the National finals. Coach Julia Trapp said: “Every one of the 10-girl squad should be hugely proud of their contribution. “To Elena, Tabby, Gracie, Evie and Evie who played eight or nine full matches – what an incredible level of fitness, tenacity and skill you showed. “To Amelia, Micha, Daisy, Caitlin and Poppy who also played their hearts out and produced their very, very best netball – well done girls!